So as you might imagine, there has been a lot of pesto around here lately. I really like to eat it cold so the other night I threw together this pasta salad. Enjoy! 1 Prepare pesto according to recipe directions. 2 Boil pasta according to package directions. 3 Combine all ingredients in a large bowl and refrigerate until chilled. 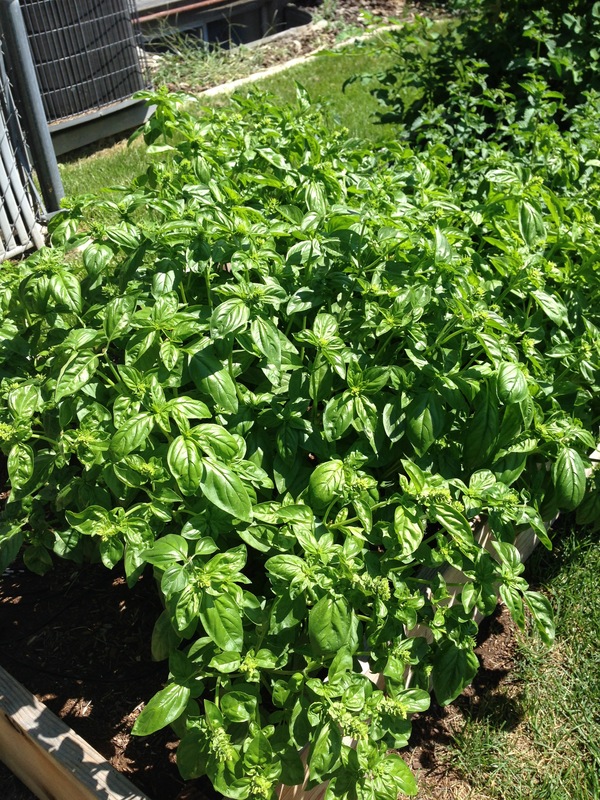 I have loads of basil too, great sounding recipe! Thanks! 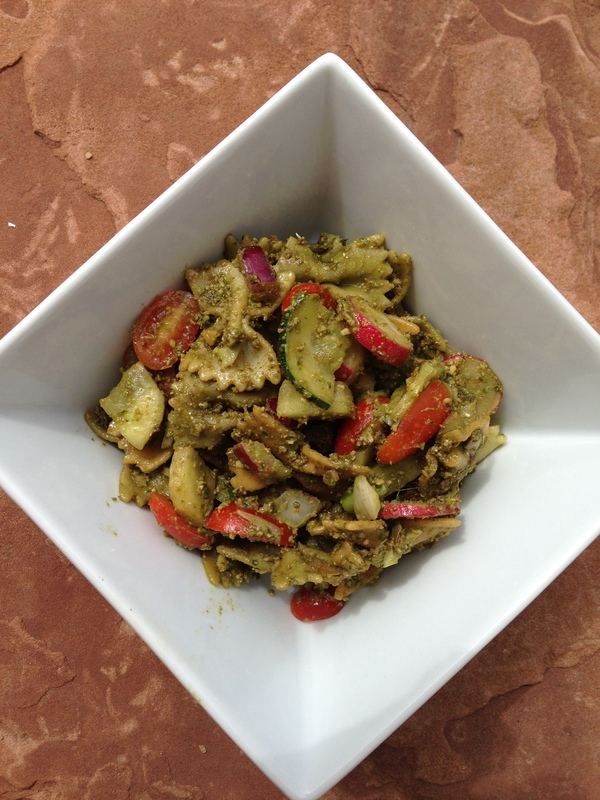 Don’t you just love homemade pesto with that basil right out of the garden? It is one of my all time favorite things to eat! You’re welcome and thank you! Love you!